The odd thing about John O’Groats is that you would imagine it being like the edge of the world the way people talk about it. But once you get there, it doesn’t feel like the edge of anything. 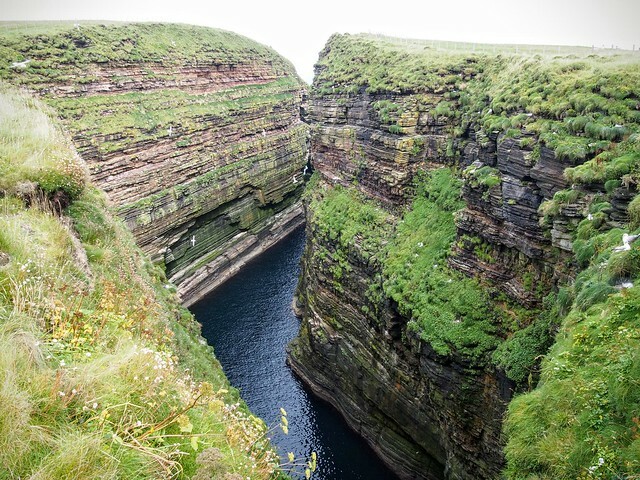 Orkney is so close you could almost imagine reaching out and grabbing it. 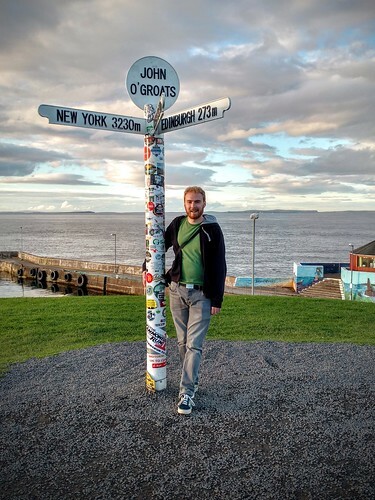 Even on mainland Britain, you could turn left or right from John O’Groats and still feel like you were walking further away from any other point. If you look at a map, the true end point of Great Britain appears to be Duncansby Head to the east. Meanwhile, the most northerly point is Dunnet Head to the west. We visited both on this day, also taking in the Castle of Mey on the way. 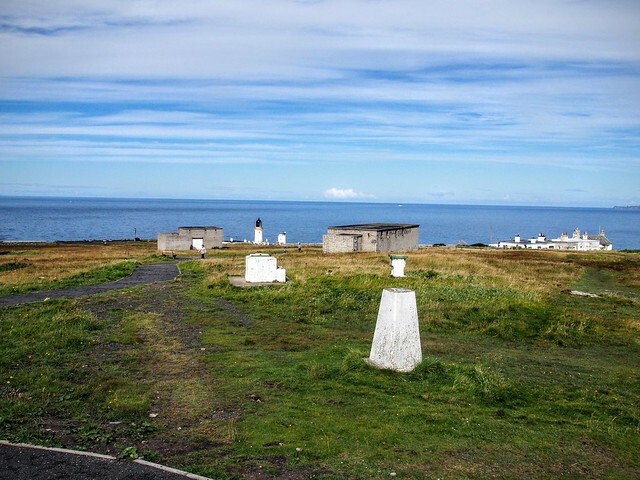 From the most northerly point of mainland Britain, it is possible to get some stunning views across the Pentland firth towards Hoy (including the Old Man of Hoy) and Stroma. From the top of the hill here you are even able to see back across to John O’Groats. There is another Stevenson lighthouse, in the familiar white and yellow paint. Meanwhile the presence of disused military buildings from the second world war gives the place an added eeriness. Despite the good views, we didn’t stay long because the midges were lethal. However, on the way back we stopped off at the Dunnet Bay Distillery, makers of Rock Rose gin. Here we had a small sample of their Holy Grass vodka. It surprised us so much with its complex flavour that we snapped up a bottle on the spot. Onwards we went to the Castle of Mey, situated in between Dunnet and John O’Groats. This was the formerly owned by Queen Elizabeth the Queen Mother. I am not at all as interested in the royal family as Alex is, but I nonetheless found this an interesting visit. For whatever reason, it was a quiet day at the Castle of Mey. When we took the tour we were the only people on it. I think our guide was a bit worried we weren’t finding it interesting, but she needn’t have been. In some respects, the tour demonstrated how extraordinary a life the Queen Mother had. 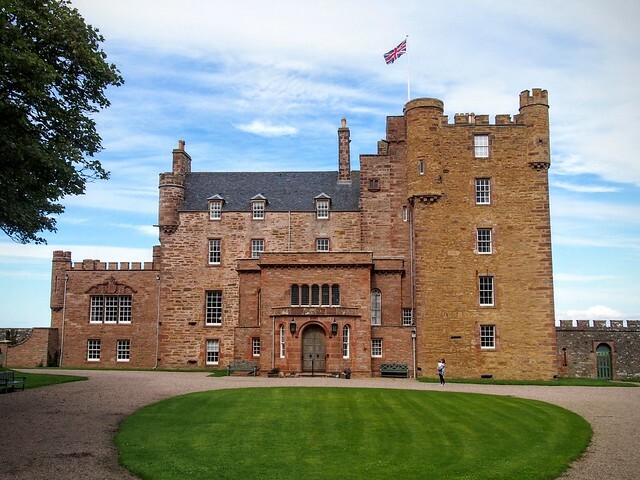 Apparently every single day she was at the Castle of Mey she was entertaining, and every day she would drink a mix of Dubonnet and gin (which sounds foul). But there were also some delightfully mundane details to be found. Her favourite programme to watch was the Two Ronnies on VHS. The video case still had a £2.99 price sticker on it. After the tour we wandered round the gardens. I used the telescope to take a better look at the surrounding scenery. 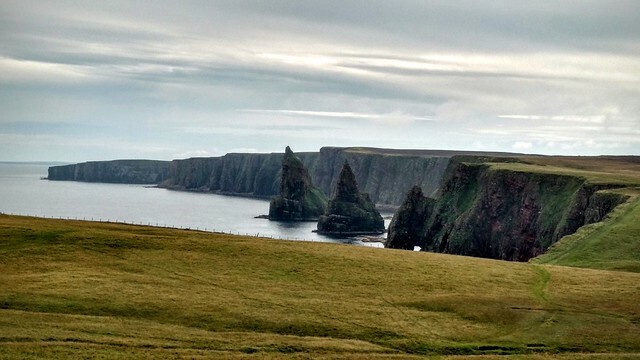 Duncan's head by Duncansby Head. Then it was on to Duncansby Head, the extreme north east point of mainland Britain. This was worth the visit more than Dunnet Head. The coastal cliffs here are stunning. There were loads of birds, some of which were learning to fly. It was strangely mesmerising watching them fly round in circles trying to get the hang of it. Most impressive are the Duncansby Stacks, about a half hour walk from the car park. Absolutely majestic, and more spectacular than the Old Man of Stoer which took us an hour to walk to a few days previously. We had an early evening to prepare for the long journey ahead. The journey home would take 6 hours. So we decided to book a hotel on the way so that we wouldn’t be rushing to get home the day before going back to work. And also as a reward for camping in the first half of the week. But before that, we couldn’t drive past the Black Isle Brewery without stopping off. 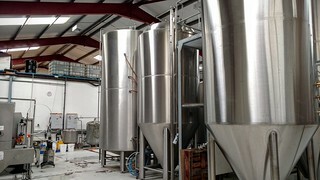 We got a wee tour round the brewery and bought a little too much beer. The Ardeonaig hotel is on the south bank of Loch Tay. The garden backs on to the loch itself, which was a stunning place to sit and relax. 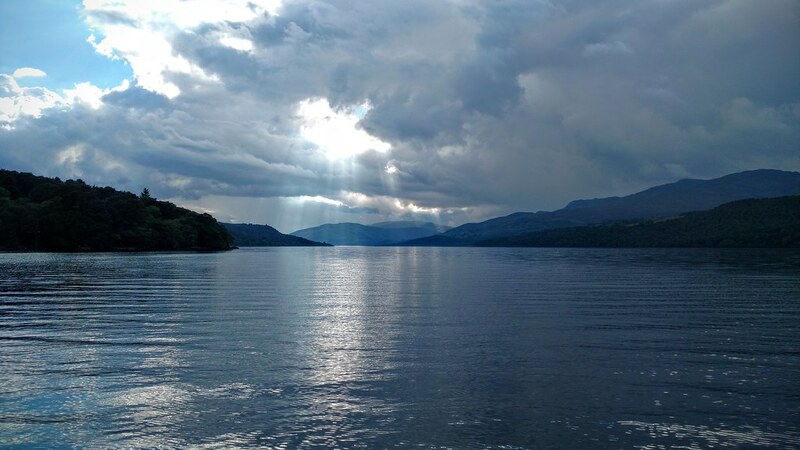 With spotty Wi-Fi and no mobile signal, this truly is a place to get away from it all — in one of the most beautiful parts of Scotland to boot. In total, our North Coast 500 trip saw us travel much further than 500 miles. We went 500 more, and then some. Including the trip to and from home, we drove a total of 1,197 miles. It was a cracking holiday covering a massive distance and with a diverse range of activities and places to visit. 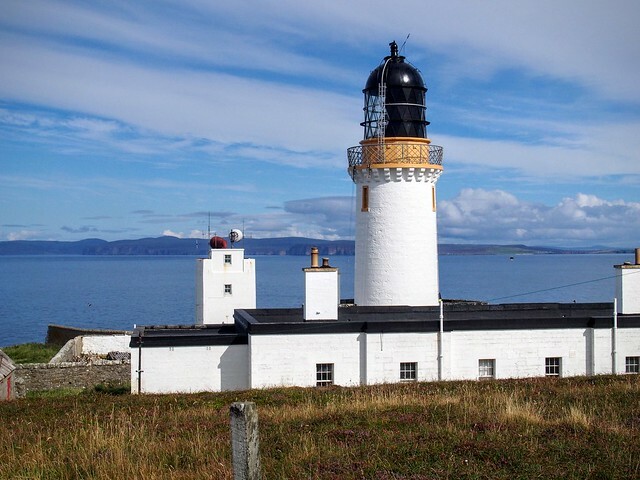 It is easy to see why the North Coast 500 is attaining a legendary status among roadtrippers.